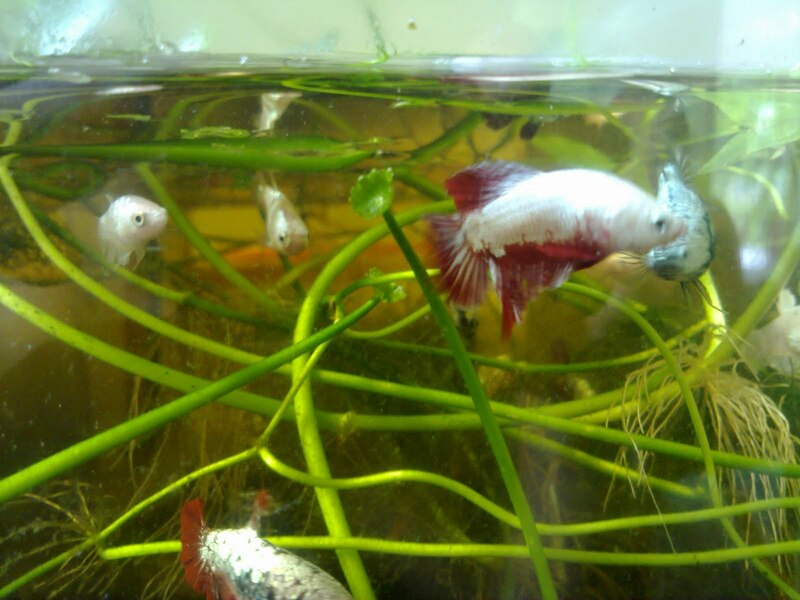 Its been really long time i dint update my betta fish blog because I can be said that already stop breeding betta for almost one and half years. 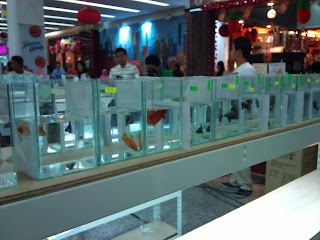 This year I help my friends who organize a betta fish competition in Boulevard Shopping Mall, it fun to see so many quality betta again in Kuching, which is something extra ordinary to Kuching I can said, because Kuching still not many breeder. here I come ! 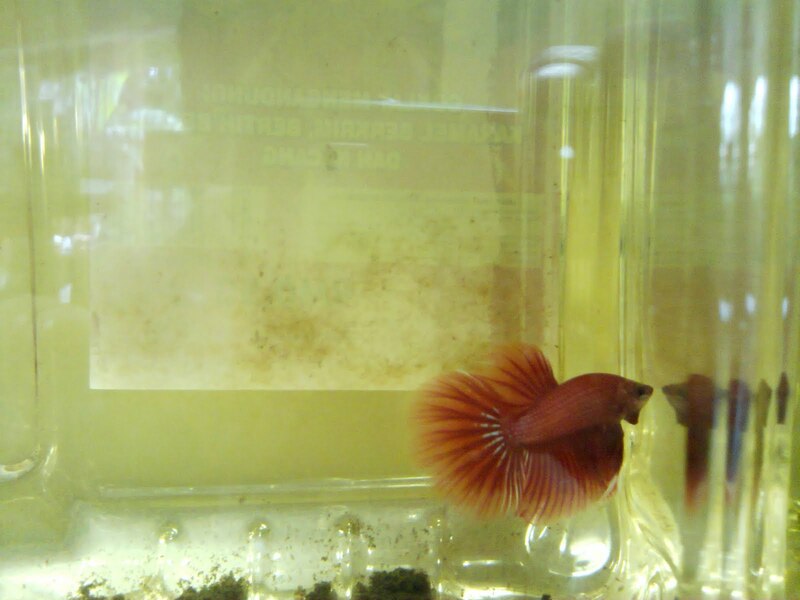 I will breed betta fish very soon ! Dear All, it's been really long time dint update here. 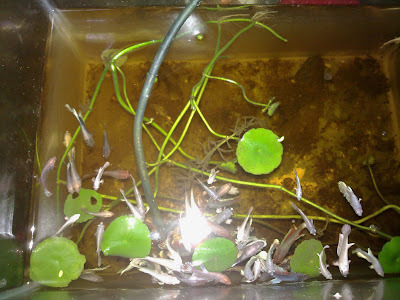 I have stop breeding for some time and more focus on planted tank. And my showroom finally complete last few month as well. Anyone enjoy fish can always come visit my place. 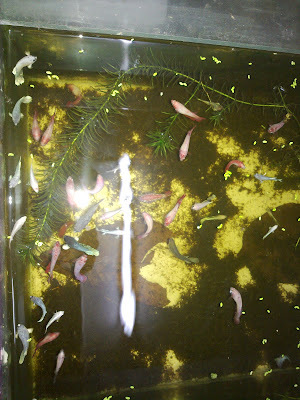 About betta fish, I will plan and breed again when I got the time, now left few betta haha. 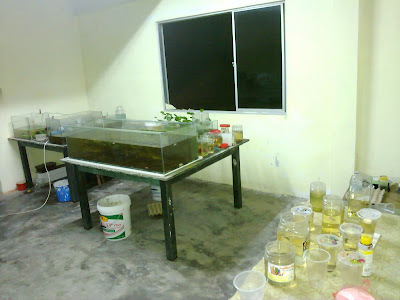 Well, finally I got time to tidy up my betta cribs. A bit left behind them for some time due to certain reason, although I said chinese new year want to breed betta, I still fail to do it, maybe only got a few fry that are surviving without food provided haha.. That's why this time I do a big clean up because really too dirty and mess already. Forget to take before after photo.. but for those who ever come.. sure they can see a little different because its only 60% of cleaning stage haha. 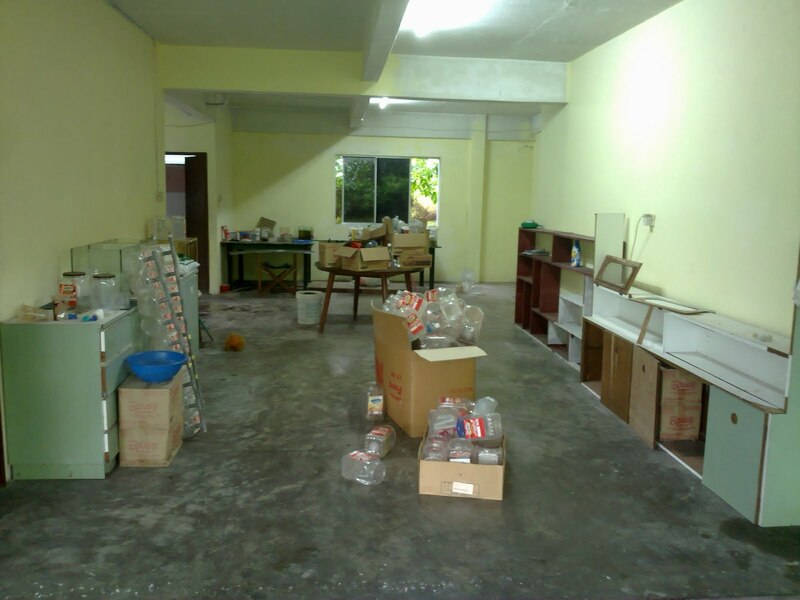 Next week gonna tidy again, weekday after working already evening.. quite hard to take time to tidy it. 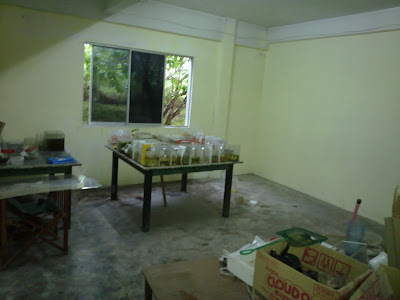 This part I want reserve some space for planted tank aquarium hihihi.. halfway of cleaning raining ! 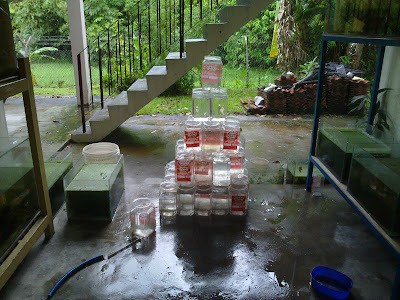 I feel really excited when I collected so many bottle of water.. hahaha.. no need waste money for using pipe water.. It's have been some time I dint update because I dint breed betta recently, but still keeping the remaining betta I left Haha. 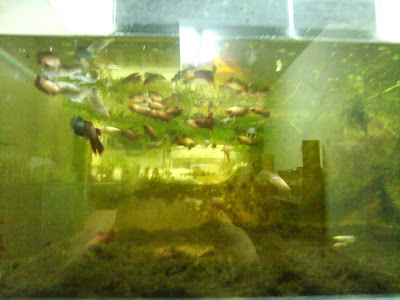 After working really busy unlike study times can really always take care betta after class.. Or should I wake earlier to feed betta before work? Haha.. Happy CNY to everyone! I WANT TO BREED BETTA AGAIN ! Stay tune for new dragon coming out ! 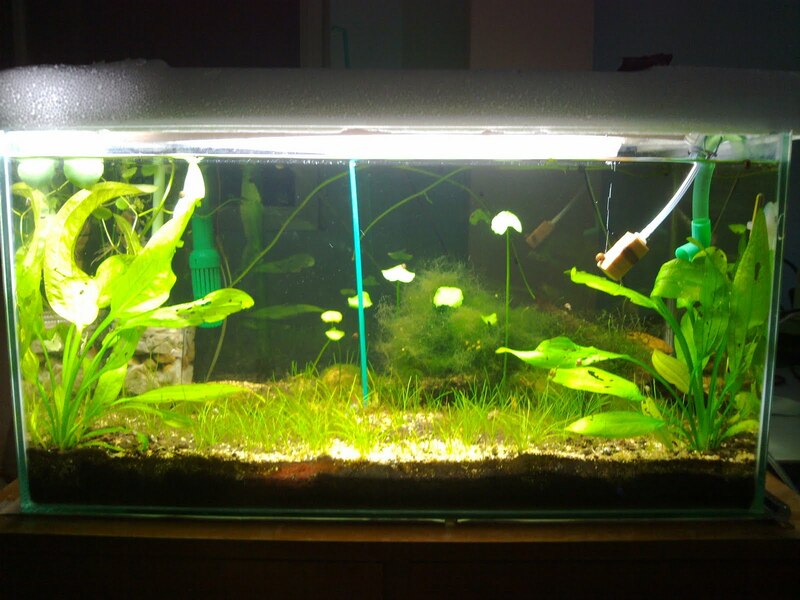 Just a very beginner tank with hairgrass and some cherry shrimp. 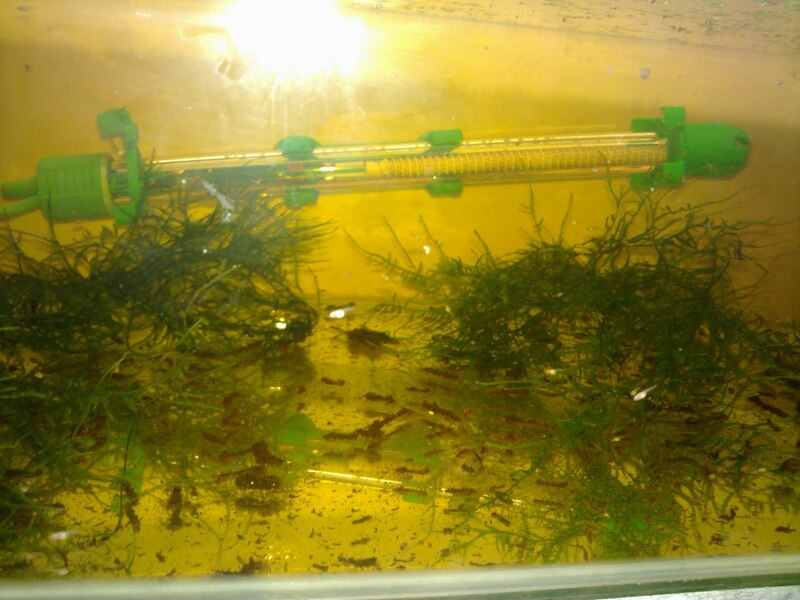 Currently success breed some cherry shrimp too. Maybe going to for sale in future hihi. Enjoy the fun of aqua stuff ! 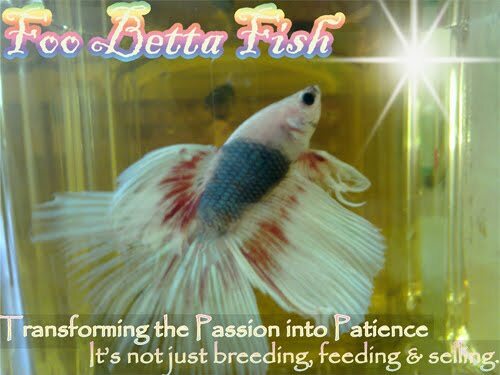 Try To Continue Breed Betta Again ! Since I just settle with my works, less busy already.. 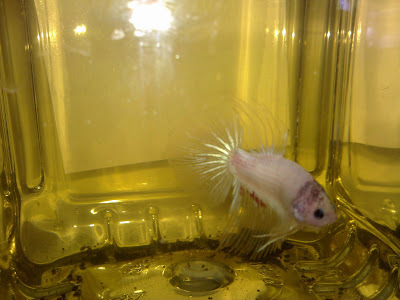 I should try to start breed betta again. 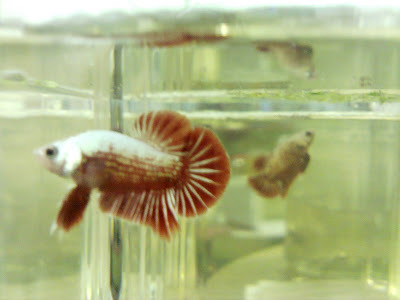 Betta pellet already order, now just hope my betta breed properly and the fry can survive properly ! 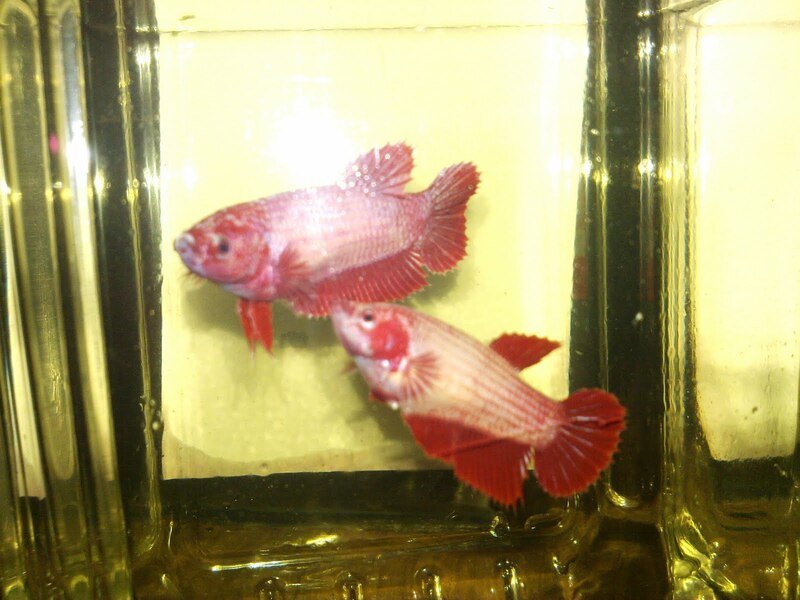 Red Dragon HMPK FOR SALE !! I selling off my Red Dragon HMPK.. only got a few unit.. so come to have a look if you interested. 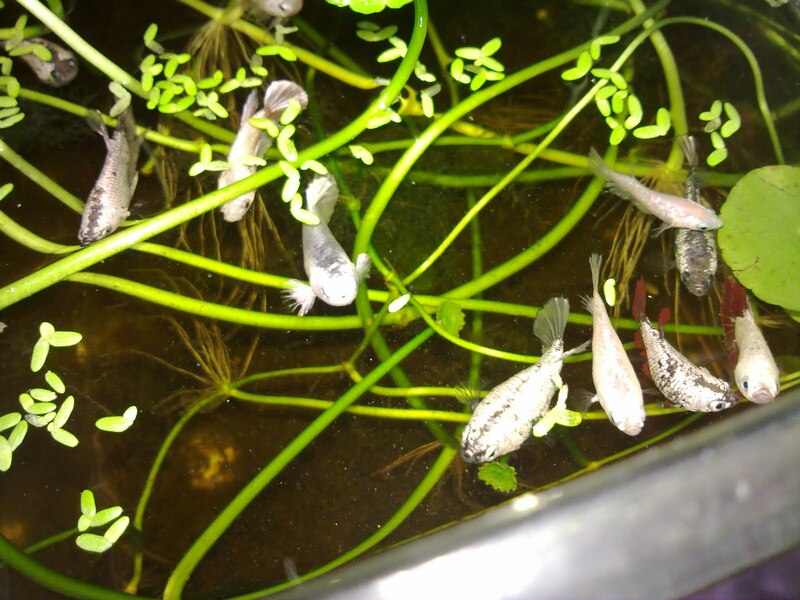 Let me intro my outdoor planted tank. Haha.. This is slightly different from those very beautiful Co2 tank. 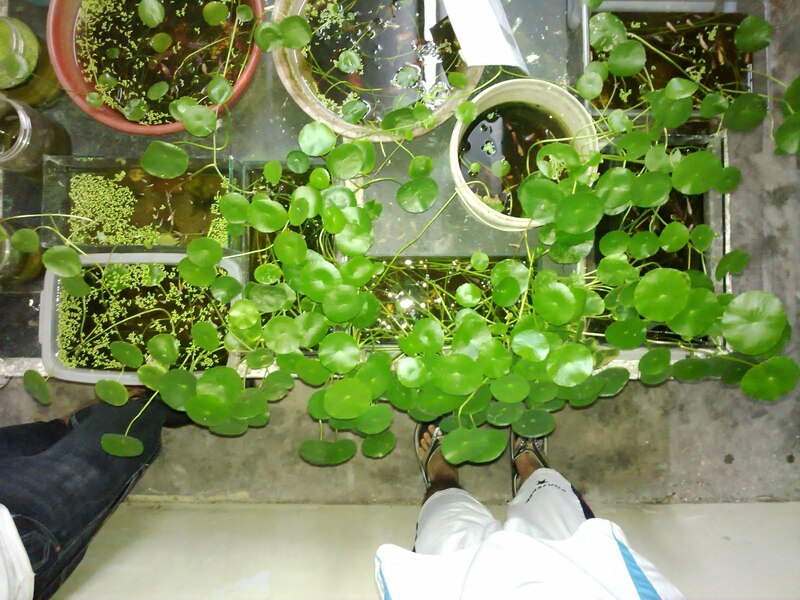 There is about 8 tank full of the round round leaf plant. What is so special about them? This plant consider a good plant for me cause it make me feel the water will become quite clean and my betta fish actually looks quite safe to live in these tank without changing water whole year or even longer it suppose... haha. I just need adding water time to time. Hoola.. anyway I going to play CO2 planted tank soon.. hehe..
More Dragon To Jar ! My dragon are now getting bigger, but still not very big. Hopefully to jar more more ! Here is a few I have jar and I really like dragon ! My Little Dragon Has Jar ! Yeah.. 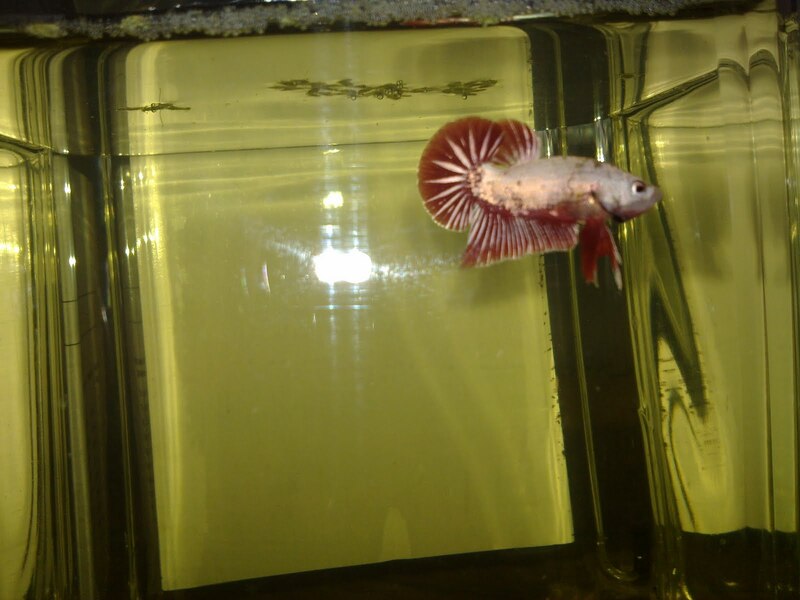 Finally Jar my Little Red Dragon.. Very enjoy to see this new fish .. I really like dragon ! Scale really shinny and nice. 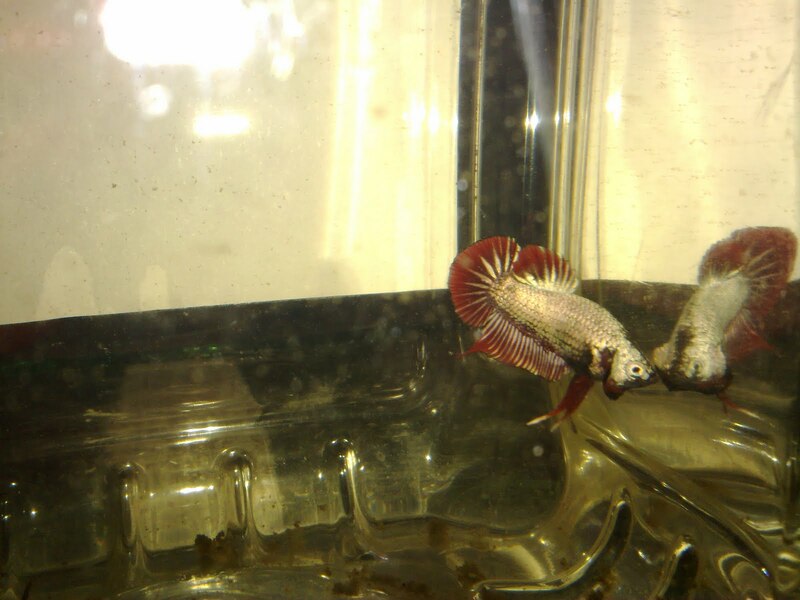 Still young, hope get older will be more nice looking :D. Want to breed more dragon in coming times ! 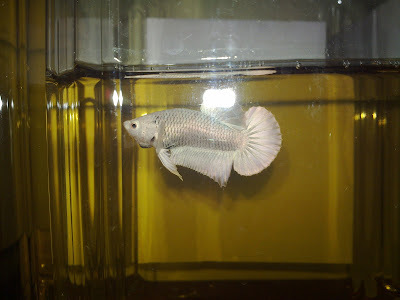 This is pastel delta tail also.. I like it ! Ah ha.. this is my own line.. result of duno is 3rd or 4th generation already. Duno how call it.. not platinum.. just body more white a bit.. tail light green.. hope there is some male inside..
Not many.. might not be able for sale.. erm... lots more to update soon ! A bit thinking too much to name this aquascaping. Anyway just name it for fun only. This is the first aquascaping I do. Still dint put water filter, duno it will affect anything or not. 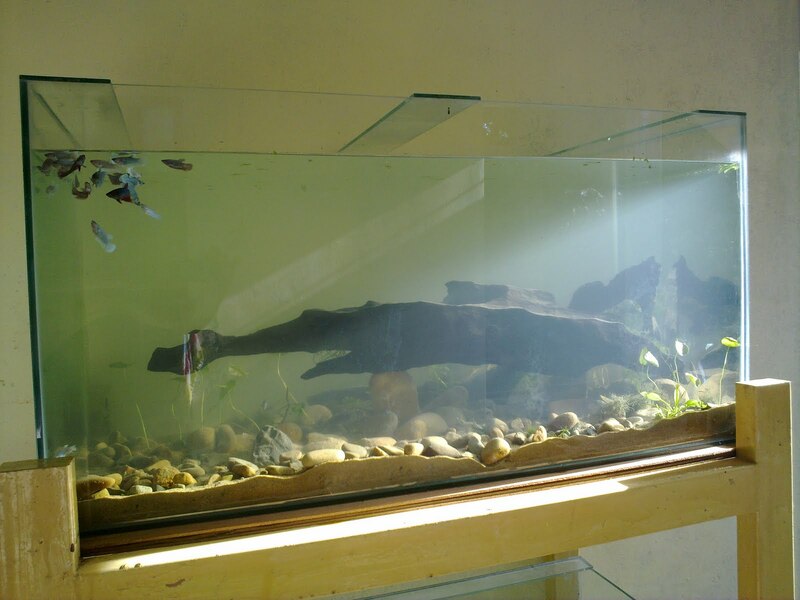 Water slightly blur might cause by the sand I put in and no water filter. 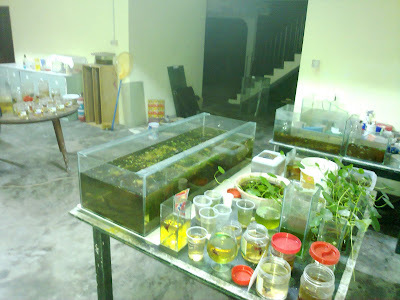 Suppose need use what soil that sell at shop, but I use very cheap method haha. 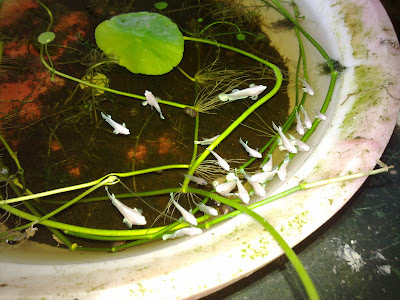 The plant also use cheap plant which do not need CO2. 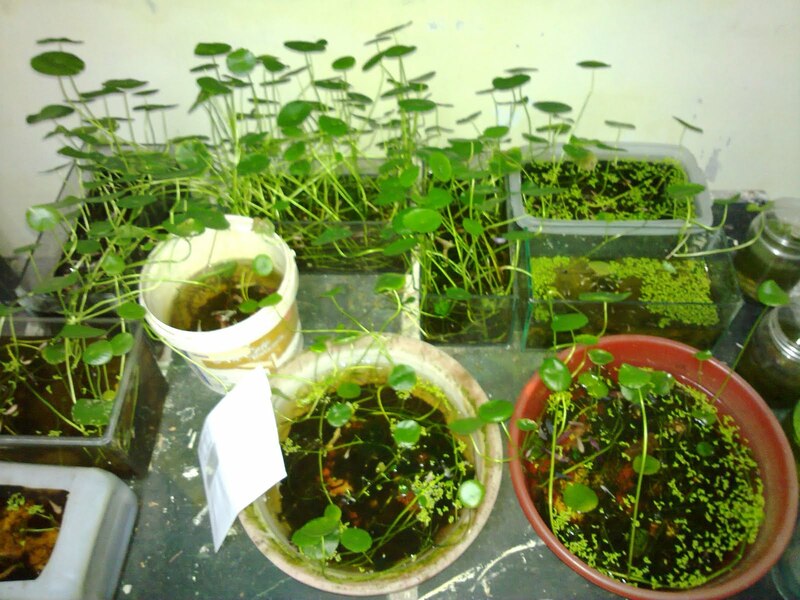 Hopefully these plant can grow well without those soil ! 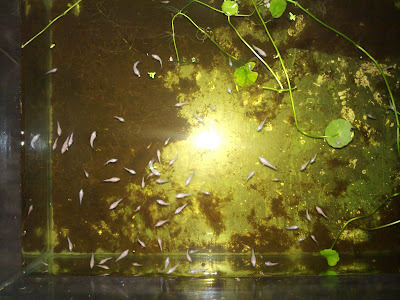 Waiting for the Fry Growth Period ! Quite a long time I dint update my blog because I dont have much new betta to show yet. 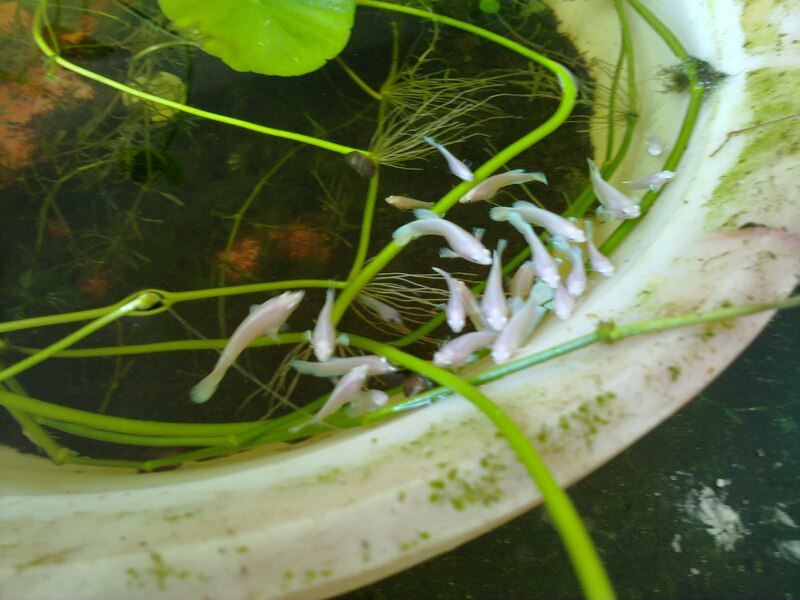 For the moment, got 8 batch of fry still growing, 2 batch might can see in bigger size one month later. These few batch got red dragon, white hmpk or pk, bicolor delta, and duno yet. Random photo from one of the red betta batch. 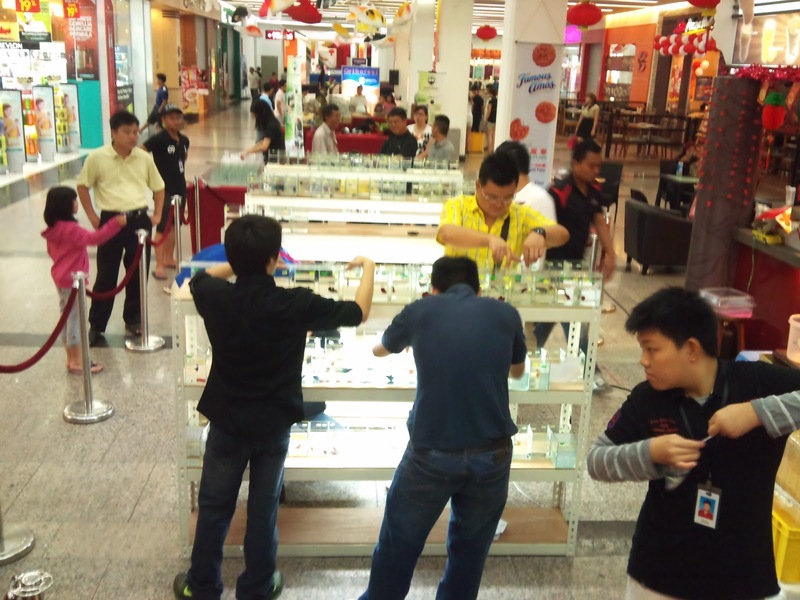 Bigger liao. 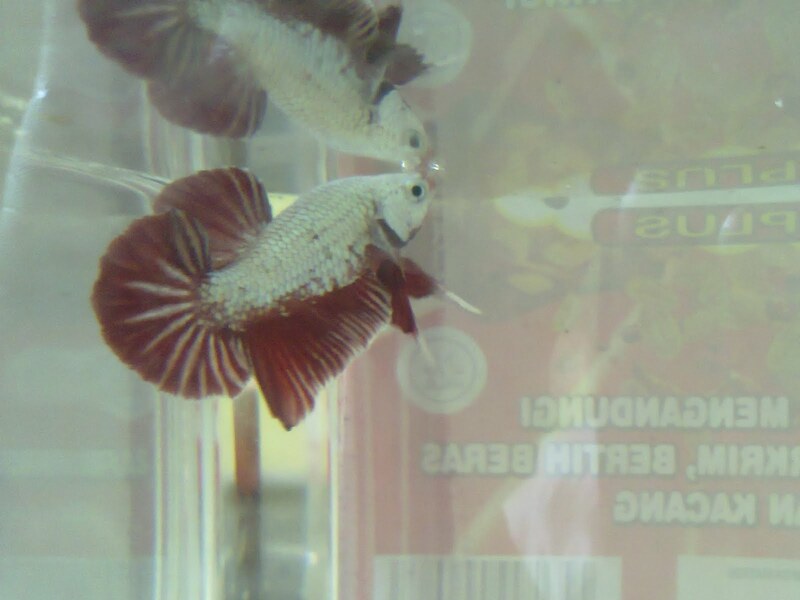 One of the Plakat that I like his colour and clean body. 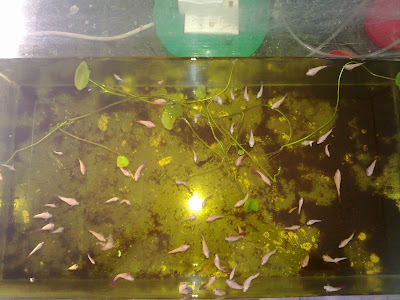 Some photo update of my small betta fish cribs. In coming month, will really getting seriously more and scary more for my self opinion. 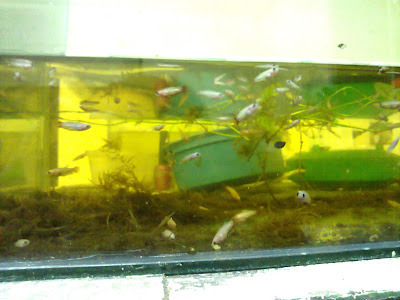 Really dont have enough jar to keep the male fish haha. I from Kuching Sarawak ! And is too much about me. Be my friend to know me more! Thanks for supporting my site! Please keep visit !